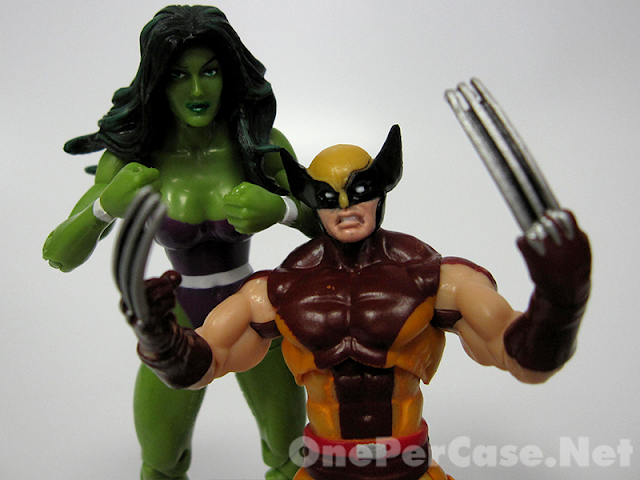 Wolverine and She-Hulk may not seem like the most likely duo for a comic pack. 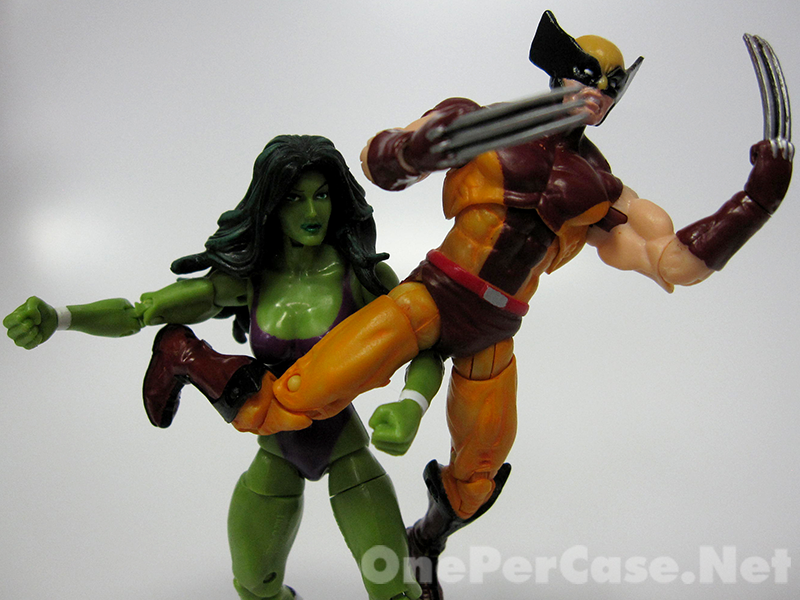 Fans of Marvel know that the latest series of X-Men vs.Avengers isn’t the first time the two have tussled. 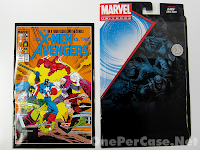 Back in the 80s, Marvel put out a four issue limited series that pitted the two Marvel powerhouses against one another. 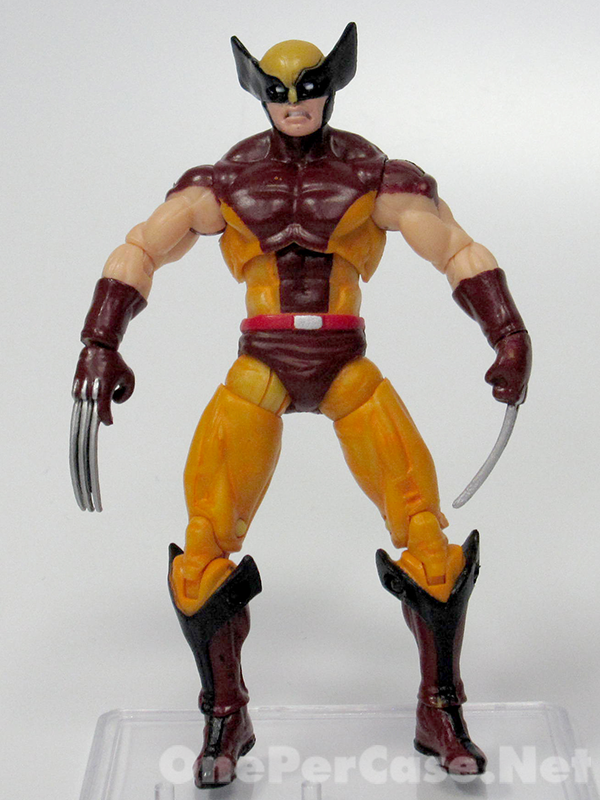 Now, a few decades later, we’re seeing a few figures (along with the obligatory reprinted comics) out as Toys R Us exclusives. 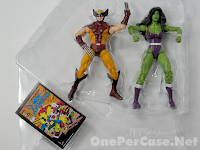 So given that we’ve already seen numerous Wolverines, and other She-Hulks, how badly to you need this pack? Read the review to find out! As always, we’ll start out with the packaging, since that’s what grabs your eye first… hopefully. 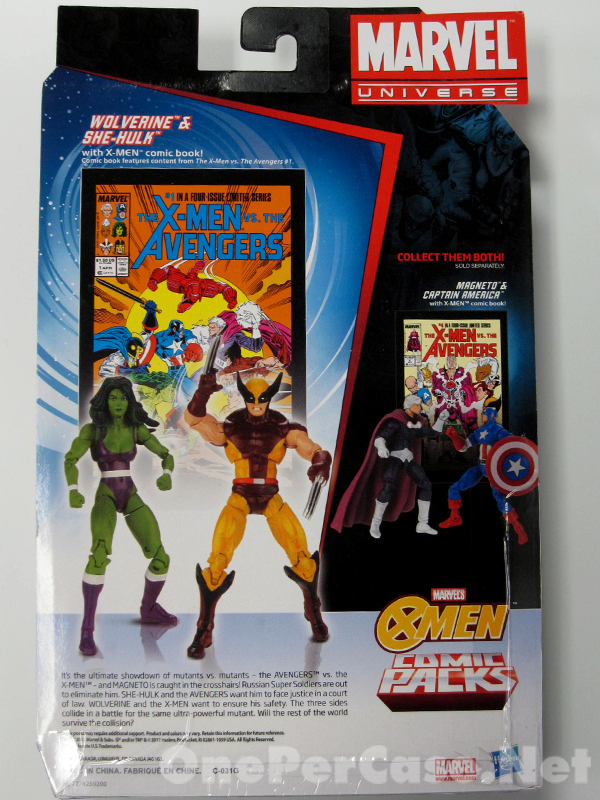 It’s the standard Marvel Universe comic packaging, but with the added “treat” of the mini comic cover. Since you actually get the full-size reprint, I’m not quite sure what the point is of getting a mini comic cover. 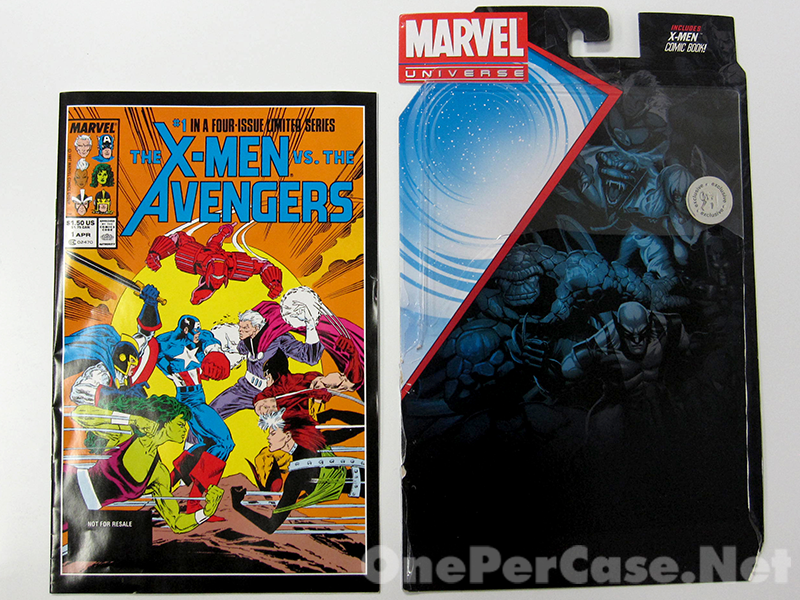 The artwork on the front of the card (under the comic) is actually pretty cool, and was a nice surprise. 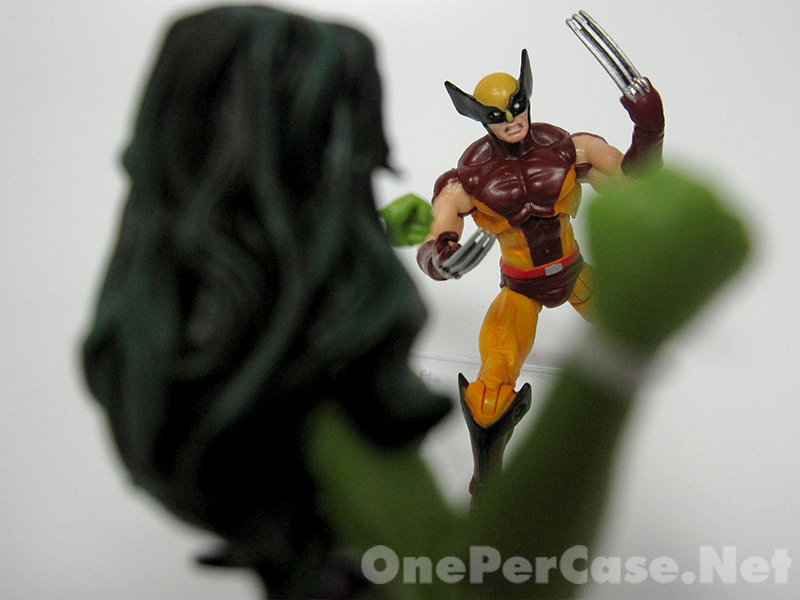 I won’t waste time explaining the articulation. 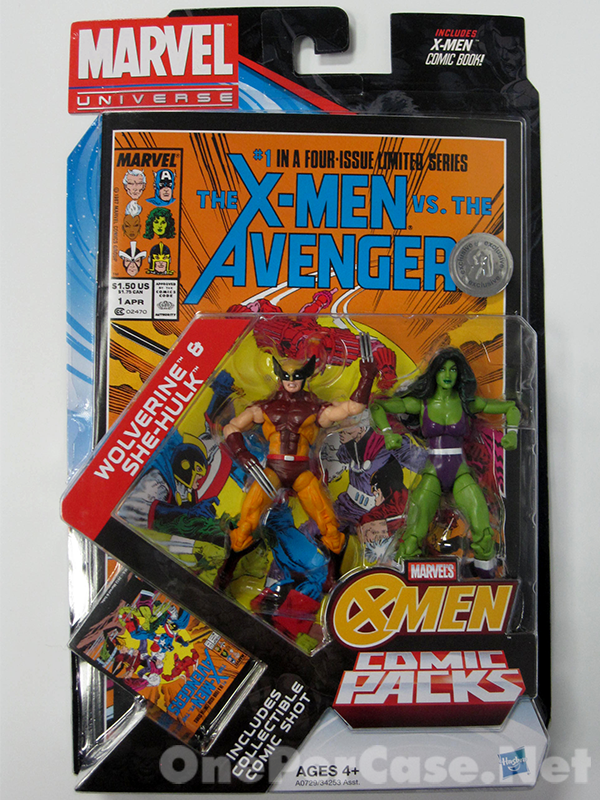 It’s the same as the rest of the Marvel Universe series. 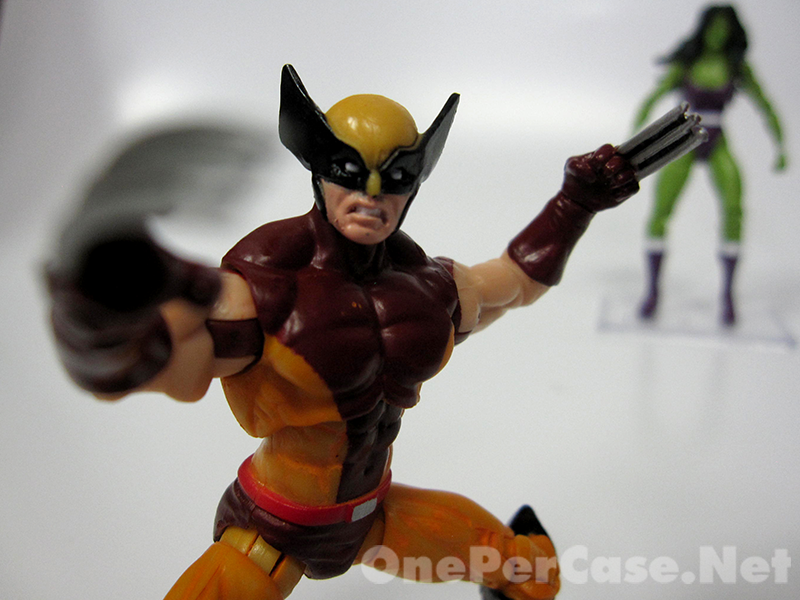 Instead, we’ll start out with the Wolverine. What can I say? He’s not the best version we’ve gotten, but he’s definitely an improvement over the Secret Wars version. First off, his giraffe neck is gone, so he looks a bit more reasonable. 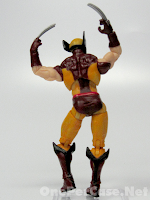 While the separated claws seemed like a cool idea, they often ended up mangled and distorted, so this time Wolvie has joined, curved claws. At first glance, I didn’t care much for that, but it actually works pretty well. The head sculpt isn’t bad, but it’s not the best Wolverine head we’ve gotten yet. My real question is, why not? 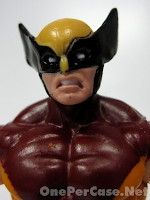 There’s better head sculpts out there, so why not use those? For me, the latest release of a figure should ALWAYS be at least as good as what we already have, if not better. Sadly, Hasbro doesn’t seem to get this principle, as Star Wars collectors would be more than happy to explain (Yes, Movie Zeroes, I’m looking at your short-lived line). 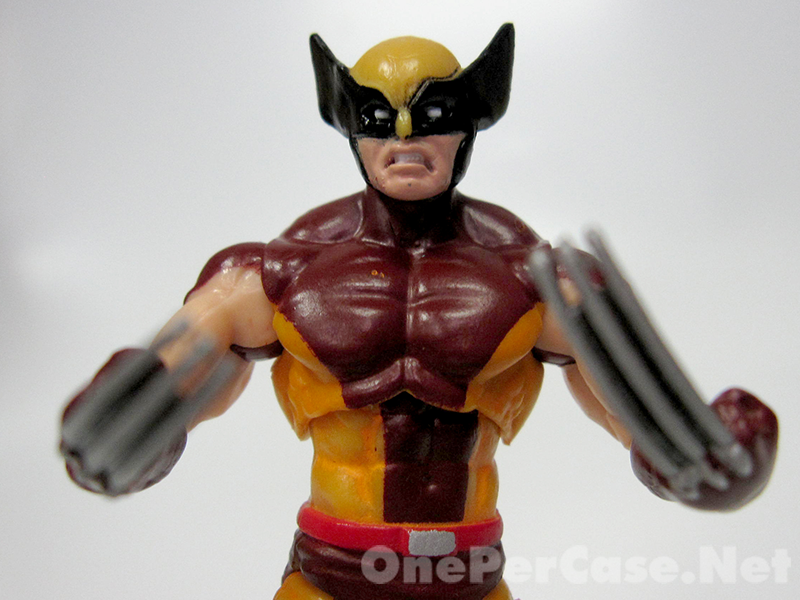 Overall, it’s a decent enough Wolverine, but we’ve seen better. 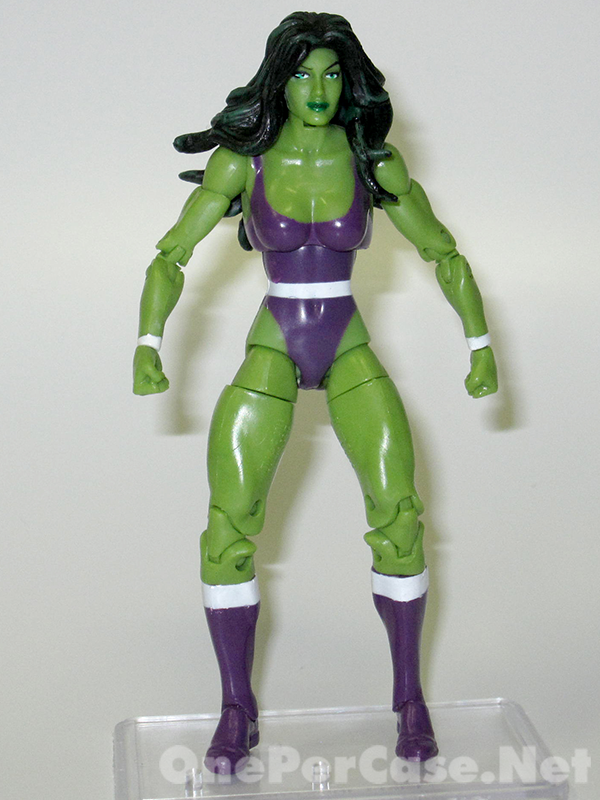 Next up is the Sensational She-Hulk. I mean that the character is sensational. It wouldn’t sound so great if I was talking about the figure. 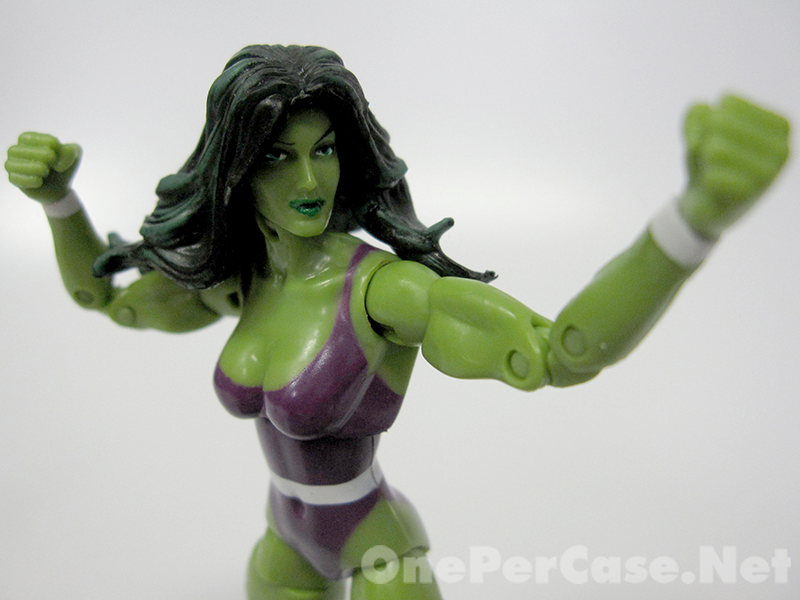 Who wants to buy “the Mediocre She-Hulk”. Ok, so we haven’t seen her yet, but there is another version coming very soon, which to me seems to be superior. Granted, she’s in a different outfit, so there is that. The head sculpt on Ms. Walters is actually fairly good. The two-tone paint on the hair looks nice and does a good job of showing some green in the darkness. Mine looks like she was in a rush to put on her lipstick, but paint apps are a quality control issue. I’ll hold that against Hasbro rather than the figure itself. My main complaint about the sculpt is that the arms are a little skinny. 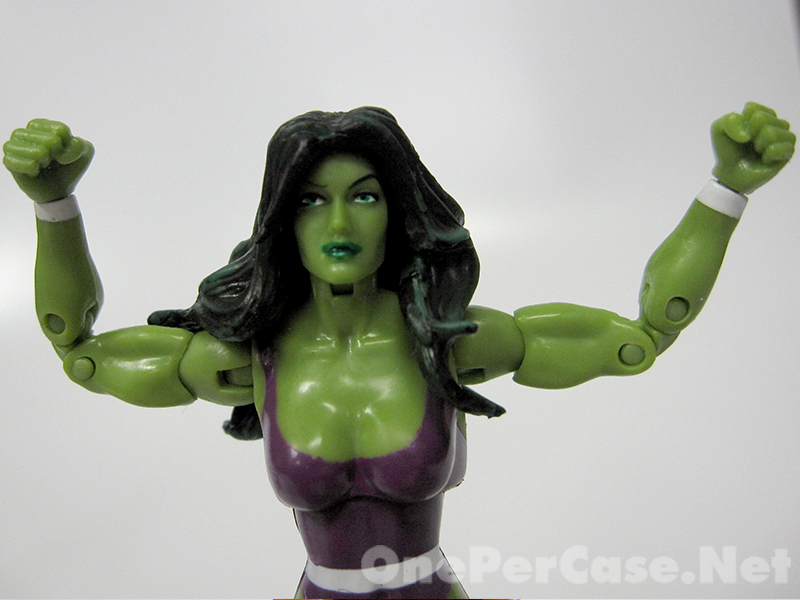 She is named She-Hulk for a reason. Yes, she is supposed to have a much leaner look than Hulk, but her arms could use a bit more bulk than what they have. Overall, as you may have guessed, I’m fairly indifferent towards this pack. 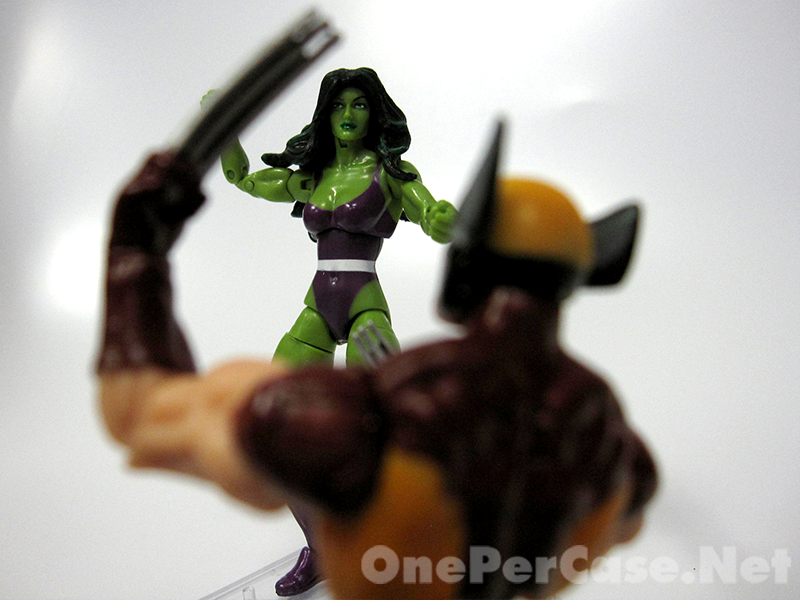 Both versions are good, but there are better Wolverines out there, and the upcoming She-Hulk seems to be better. 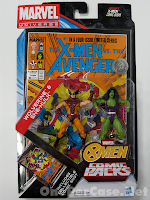 So far, we’ve only got issues 1 and 4, so you don’t have that “collect them all” thing going for the X-Men vs. Avengers sets. If you want everything, this isn’t a bad set to have, but if you’re a little pickier on what you buy, this could be a fairly easy pass. I've got the other She-Hulk on order, but if I see this in a UK store I won't hesitate to pick it up. I don't mind when the comic packs hit the 'nice but not strictly necessary' mark to be honest. How big is She-Hulk though? She's nice and tall, as she should be. 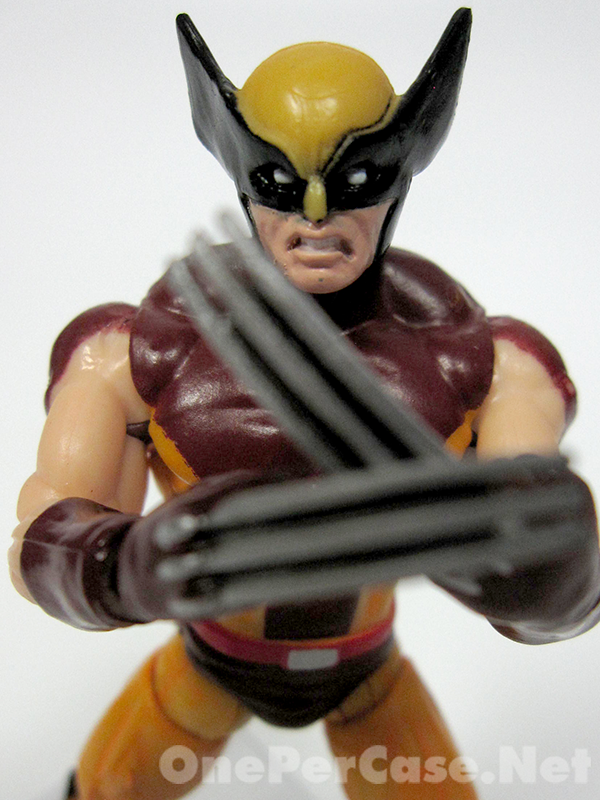 Wolverine, of course, fairly short. 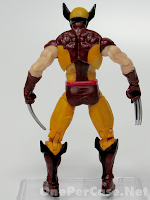 Probably not quite accurately as short as he should be, but short enough to be noticeable that he's short compared to other figures. 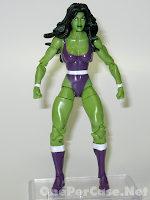 I'm not sure I understand your 'mediocre' rating for She-Hulk - you say the later one looks like it will be better but the only difference seems to be the painted costume. This one's costume reproduces her look on the cover of that comic pretty well and her arms are no leaner than on that cover.